The USD/CAD trend analysis is shown here. This pair is trending higher on the larger time frames, like the MN time frame shown below. The near term resistance level is at 1.3350. 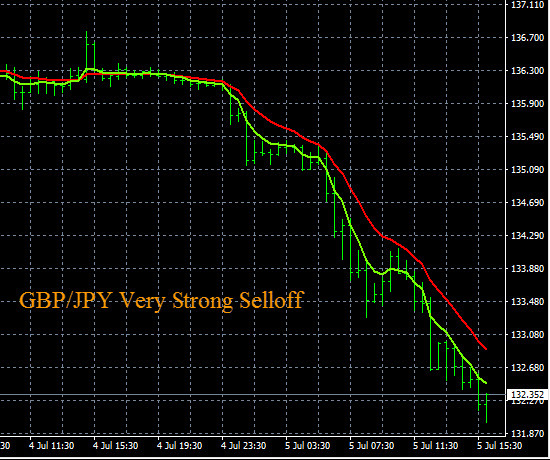 Traders can set a buy alarm at that price level and monitor for a buy signal on The Forex Heatmap®. There is no no nearby resistance past the alarm price, we see no resistance until around 1.3800, so this pair has about 450 pips of upside potential. This is very good money management and risk/reward ratio for a trade. 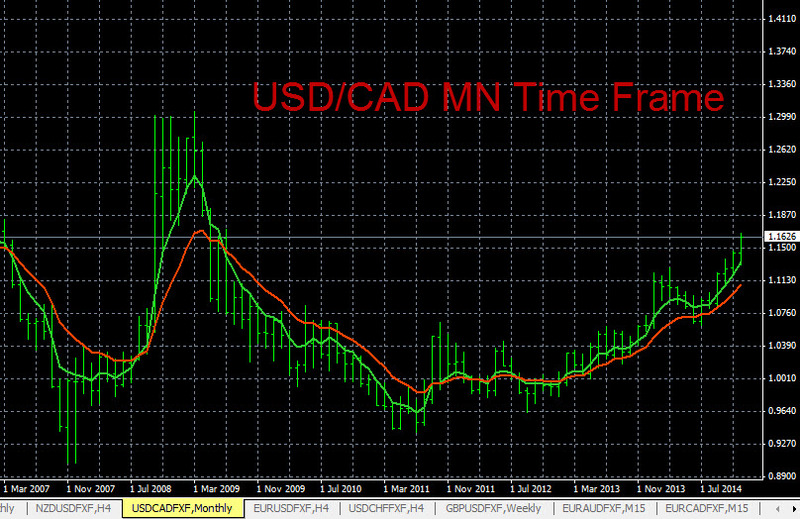 The USD/CAD is trending higher on the largest time frames, like the MN time frame trend shown below. This pair has now broken the critical 1.3000 resistance area, noted in red. There is no nearby resistance past this price the next resistance we can see is at approximately 1.3650, which is also noted in red on the far left. We will continue to follow this trend going forward, setting buy plans and looking for buy signals. If you see a buy signal for the USD/CAD with The Forex Heatmap® in the main trading session, we sould strongly consider buying this pair. The trend charts you see below are 5/12 exponential moving averages we apply to all 9 time frames on metatrader. 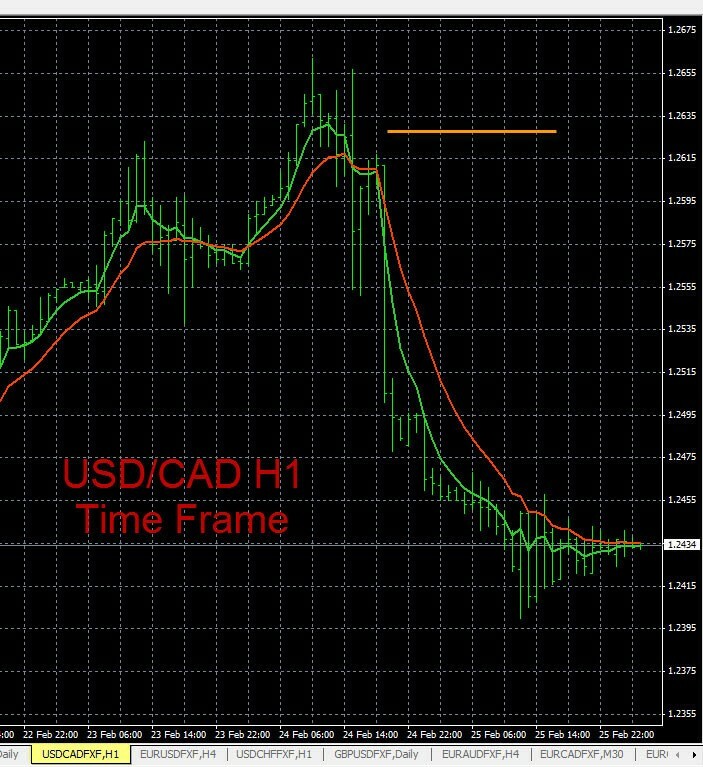 The USD/CAD is not trending but it is oscillating and ranging on the smaller time frames, see the H1 time frame below. Above the current prices it has around 200 pips of potential to cycle back up to the 1.2625 area, noted by the yellow line. Traders can look for a buys signal on this pair in the main session using The Forex Heatmap®, or after the USD or CAD news drivers, which are both on the news calendar for tomorrow. The trend indicators you see below are exponential moving averages which are easy to set up on most charting platforms. 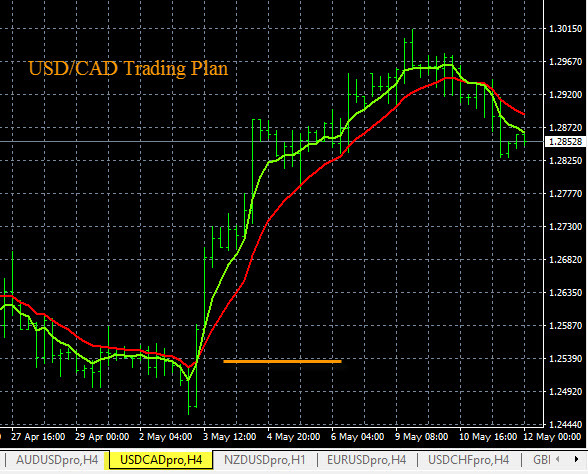 The trend chart below show that the USD/CAD is trending higher on the largest time frames, like the MN time frame. The current resistance levels is at 1.1670 on this pair. You can set a price alarm here. 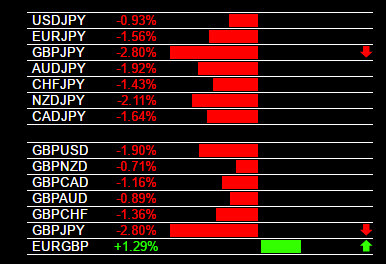 When the alarm hits, check The Forex Heatmap® for a buy signal. Past the 1.1670 resistance area the next major resistance is at the 1.3000 area, so any buy entries could have substantial upside potential, possibly 1300 pips. 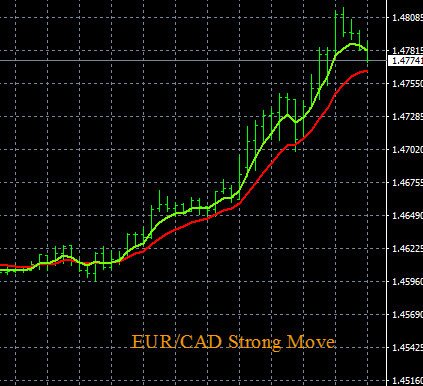 The trend chart you see below for the USD/CAD are exponential moving averages set up on a meta trader platform.